Your choice of several leading Melbourne fully-qualified surgery specialists and brow lift experts, along with Dermal Clinician experts, can help you get the look you want. 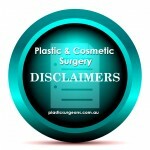 Our Plastic Surgeons operate at accredited major hospitals in Melbourne using only experienced anaesthetists and a top team of surgical support staff. Contact our Patient Care Coordinator or book a consultation with one of our surgeons to learn more about brow lift surgery and facial contouring options to reduce the signs of ageing. Or visit our Skin & Anti-Ageing Clinic pages, “Coco Ruby Skin & Anti-Ageing Clinic” to hear about our selection of rejuvenation and resurfacing options to help you get the look YOU want! Please phone Michelle on (03) 8849 1444 to request information, Before & After Images or speak with patients who have completed procedures. Send an enquiry form today or phone Michelle on (03) 8849 1444.